Donkey Kong is a classic character that has been around since the start of Nintendo's rise in the video-game world. The iconic DK has had his own games, racing spinoff, and even a rhythm game that was fully packaged together with special Bongo Drums! 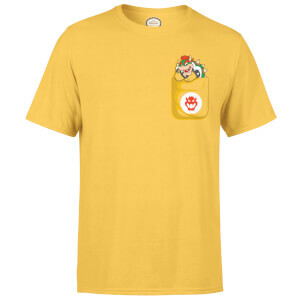 This T-Shirt is officially licensed and is stamped with the Nintendo seal of quality.